Q: My husband and I had to take in our twin great granddaughters when their mother, our granddaughter, was suddenly sent into rehab. We are in our 80s and living on Social Security and a small savings. Can you tell me if Social Security would boost our benefits to cover dependent minors? A: Experts say that substance abuse by a child’s parents is the number one reason why so many grandparents and even great grandparents, like you, are stepping in to raise a second round of children. Nationwide, more than 2.7 million grandparents are raising grandchildren, but the role almost always comes with financial challenges. Social Security does provide “family benefits,” but your situation is complicated and you will need to contact your local Social Security office to learn if your dependent great grandchildren qualify. Generally, unless you were to adopt the children, great grandkids don’t usually qualify for benefits based on a great grandparent’s work record, unless both parents are disabled or deceased. To receive family benefits, children must be unmarried and under age 18. (There are special rules for children who are 18-19 years old and a full time student, and children with disabilities.) To get benefits, a child must have a parent (which could be either your granddaughter or the children’s father) who’s disabled, retired and entitled to Social Security benefits, or a parent who died, but worked long enough in a job where they paid Social Security taxes. The amount children get would be up to one-half of the full benefit amount of the parent’s benefit — if entitled to benefits. There’s a cap on the family benefit. For example, if your wife is receiving benefits on your account, you’ve hit the maximum for your family already. Supplemental Security Income (SSI) — SSI provides benefits for certain disabled people who have not worked long enough to be entitled to Social Security benefits. SSI has new disability rules written to cover children. To learn if you qualify and to apply for SSI, visit your local Social Security Administration office. TANF: Temporary Assistance for Needy Families — This program is based on income and the amount of financial assistance available varies from state to state. Low-income households can apply for cash assistance, food stamps, and day care. If your household income is too high, a great grandparent can still apply on behalf of the children for a Child-Only Grant. That determination is based on the child’s income. When the entire household receives TANF benefits, they are temporary. However, this time limit does not apply to Children Only benefits. When applying, you would need to prove your relationship with the child, which means birth certificates for your great granddaughters, granddaughter and your adult child. Check with your local Social Services department. Subsidized Guardianship — Some states have a program that pays subsidies to grandparents and related caregivers who are the legal guardian of the child. This usually occurs when the child goes through the state foster care system. Not all states provide this option. Check with your local Social Services department. Local Churches and Organizations — Look for local church and community programs that can offer help and support. You may be able to find these through your church, local Social Services agency, senior centers, or the Agency on Aging. USA.gov — This is a federal government website that has a special page of information and resources for grandparents raising grandchildren. 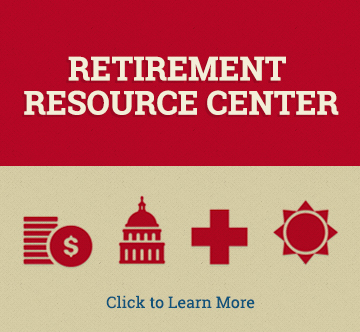 Learn more about government benefits, social services, insurance and financial information. Grandfamilies.org — This is set up by Generations United, the American Bar Association and Casey Family Programs, and serves as a national legal resource. It lists help available to grandparents in each state, as well as state laws and custody rules.